Northside ISD and Northeast ISD continue to lead the way in Bexar County regarding state school assessment of school campuses. 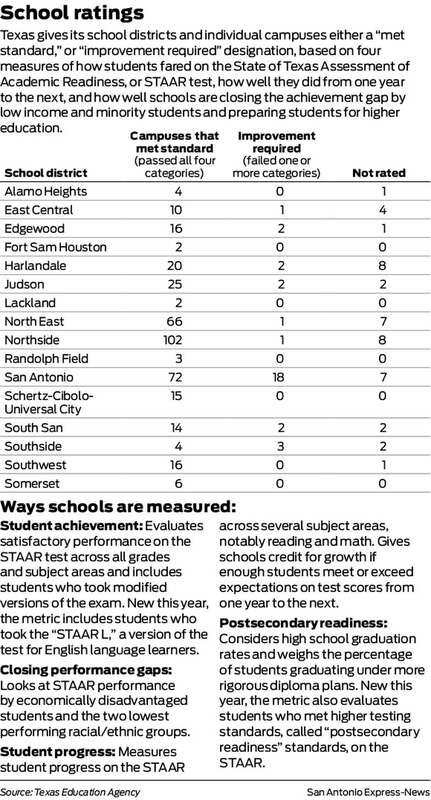 Most impressive is the fact that Northside ISD continues to match any other school district in Bexar County regarding the assessment instrument WHILE containing almost double the number of campuses. This indicator reflects a strong internal process for school, teacher, and student instruction effectiveness.